Derale Electric Fan PowerPack - Dual UNIVERSAL - Dezod Motorsports Inc - Home of the automotive performance enthusiast since 2002. Adjustable Mounting Height 19-1/8in min. to 20-1/2 Max. 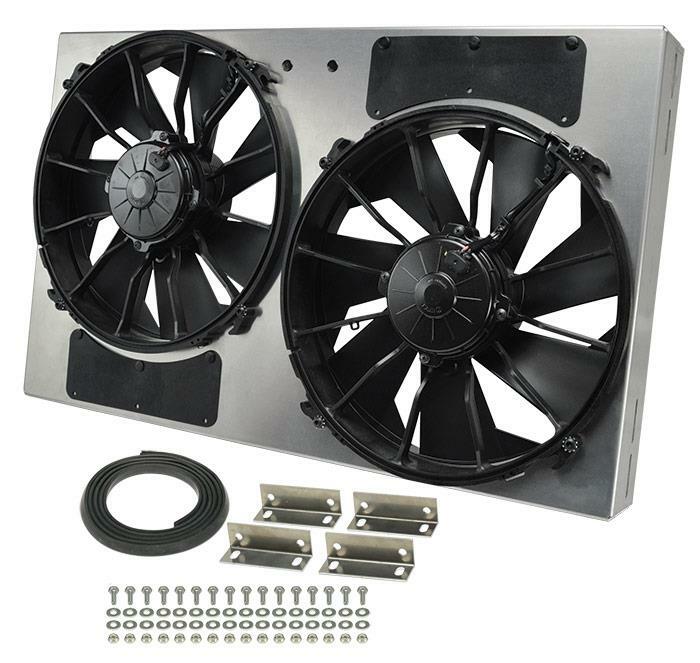 This Dual High Output RAD Fan Assembly is part of the HO Aluminum Shrouded Fans Series that is designed with the application in mind. Based on some of the most common radiator core sizes sold today, this unit features an aluminum or plastic shroud and offers an adjustable yet precision fit. The natural, non-finished aluminum shroud gives the user the freedom to polish, anodize, paint, or simply leave it raw to create a truly custom look for an affordable price. The dual high output electric fans are some of the most proven and reliable fans in our line-up. 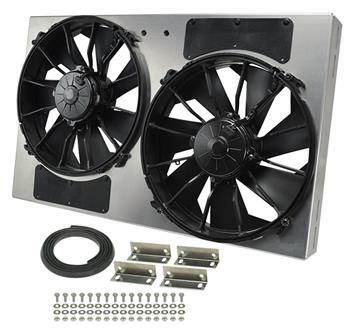 Offering a total of up to 4000 CFM, this dual electric fan assembly generates the most real-world airflow in the smallest package on the market.